Absa understands the profound impact that sports, arts and culture can have on a nation collectively and on individuals. We’ve seen their power to uplift and inspire, to galvanise and to empower, making the lives of everyone – from every day South Africans to future stars – better. They subscribe to the belief that commitment and living passionately propels people toward their dreams, helping them to prosper. Sponsorship offers the perfect platform to enable prosperity through passion: by motivating and growing the passions of all the communities that Absa operates in, fostering prosperity. As a result, Absa is dedicated to the pursuit of passion-based sponsorships. Absa’s brand’s involvement in flagship sports, lifestyle and arts and culture sponsorships reflect the diverse cultural and ethnic backgrounds of its customer base. The Absa Premiership is a testament to the level of engagement and solidarity that people can forge when they share their passion. The official sponsor of the Absa Premiership since 2007, Absa’s sponsorship of this pinnacle football property has made it an integral part of one of South Africa’s great obsessions, sharing in the passion of fans and the development of coaches and players alike. Absa has used the scale of the Absa Premiership, the biggest domestic league on the African continent and South Africa’s most-watched sport, to highlight the brand’s involvement in key initiatives. One such example is Ready to Work, Absa’s free online work readiness programme. With over 30 million South Africans watching the league, Absa has effectively used the power of football and the passion of the Absa Premiership to amplify Ready to Work and showcase the brand’s promise of a better future for all South Africans through education and up-skilling. Absa’s association with the Cape Epic, which they’ve been title sponsors of since 2006,has created similar bonds. Through an unparalleled pre-race programme and race experience that includes everything from training rides and family/supporter hospitality, to daily mechanic and chiropractic services; Absa supports its clients’ ambitions to conquer the world’s toughest mountain bike race.This sentiment is embodied in the brand’s ‘Conquer as one’ campaign, which celebrates and pays tribute to all Absa Cape Epic supporters – most notably the riders’ families – that play a role in helping riders complete the gruelling race and accomplish this remarkable physical and mental achievement. Over the past three years, the Absa Cape Epic sponsorship has also enabled Absa the opportunity to afford riders from the Diepsloot Mountain Bike Academy, a foundation supported by Absa, an opportunity to participate in this world-renowned event and garner valuable work experience. Absa’s arts and culture sponsorship is driven by the desire to be part of the continued growth of arts and culture in South Africa, nurturing South Africa’s rising talent and investing in the cultural prosperity of our diverse nation. Their long standing partnership with the Klein Karoo Nasionale Kunstefees (KKNK) is a perfect example. The annual visual and performing arts spectacular has grown significantly since its inception in 1994, bringing a community together and raising the profile of an eclectic mix of actors, artists, writers, dancers, singers and comedians. Similarly, the 32 year sponsorship of Africa’s premier art competition, Absa L’Atelier, gives young, emerging artists a platform to make their mark, and launch their careers. It’s where passions collide and give rise to incredible talent while catering to art lovers throughout the continent. How does a bank deal with its major shareholder dramatically reducing its investment, and with the prospect of re-branding not just across a country – but across an entire continent? And all this, within just one year? This is the challenge that faced Absa when, in March 2016, Barclays PLC reduced its shareholding in Barclays Africa Group Limited. A challenge that led Absa, a bank that was traditionally risk-averse, not to an expected safe evolution, but to a complete revolution. This challenge affected everything about the group going forward, re-defining the entire business from the ground up as part of the journey to create a new and iconic brand. Absa began the journey by holding over 130 000 conversations with stakeholders, employees, customers and regulators. And with the voices of hundreds of thousands of people heard, it was unanimous: Absa should be the name of the organisation across the continent. It should be bolder, braver and more courageous – and move away from being the typical bank. The people wanted a bank that was new and different; something they could truly believe in. They wanted a bank that was digitally led, and that could just get things done. The distinctly African ability to always find ways to get things done. To bring Africanacity to life, Absa started with the brand’s identity. The capital letters of the amalgamated banks of yesteryear fell away and a fresh new identity was created, with the brand name no longer an acronym, but rather written as a lower-case word, with a contemporary and approachable feel. 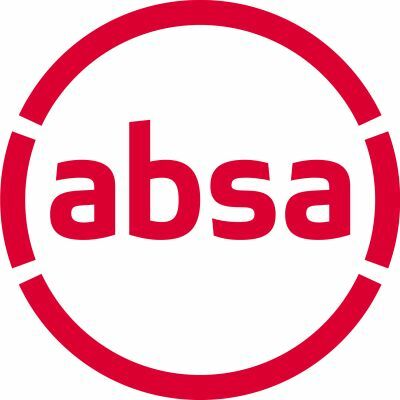 The new logo incorporated the name into a circle, reflecting the connected communities of our continent, and always putting the customer at the centre of what Absa does. The spaces in the circle reflect the brand’s flexibility and openness to the continent’s endless possibilities. Absa also recognised that, with such a variety of languages spoken in Africa, the identity needed to ‘speak’ to people, without using words. And so the ‘gestures’ were created; a universal visual language that would unite us – bringing meaning in new ways. The colour red has always been an identifier of the brand, so the new identity built on this, with Passion Red as a primary colour that had equity with customers, now expanding into a full spectrum of beautiful hues inspired by the colours of Africa. On 11 July 2018, Barclays Africa Group (BAGL) changed to Absa Group Limited (AGL) and the repositioning came to life. With the big idea of Africanacity, Absa went equally big with their launch, introducing the new brand to Mzansi with over 180 outdoor pieces celebrating the new dawn of the brand, sharing the bank’s new identity and vision in 55 print ads, inspiring the nation through 2 TV ads, and immersing South Africa in Africanacity with over 400 pieces of digital and social content, not to mention putting Africanacity on everyone’s lips with radio ads that explained how to pronounce the word. Absa also rebranded thousands of ATMs and hundreds of branches, transformed 9 offices and sent 300 drones into the night sky for one exceptional launch. Absa realised that the most important market they would speak to pre-launch, was their own team. The new brand was introduced to the “A-Team” through a comprehensive pre-launch internal marketing campaign, ‘Absa Africa United’, aligning them to the new values of the organisation and mobilising them as ambassadors for the brand. Three new brand values were shared: Brave, Passionate and Ready, creating a real sense of excitement and drive in the team to get behind their brand. Post-launch, 95% of staff fed back that they felt part of a new team “with wide-ranging commitments to new behaviours that would support the evolution of a new culture”. Within three weeks post-launch, a total of 18 million people had seen Absa ad campaigns across social media, and the ad recall rate was 20% higher than any competitor bank. The biggest concentration of ad viewers was in the 25-34 age category, followed by the 18-24-year-olds. Across the continent, more than 371 million people were exposed to the new brand across all media platforms. And while it is way too early to measure return on investment on what is an ongoing, rolling campaign, early indications suggest brand equity attributes – such as public perception of Absa, attributes such as innovation, ease of doing business, trustworthiness, and pricing – are trending upwards. Absa has already continued with this impressive trajectory launching ChatBanking for WhatsApp on 11 July this year, having signed up 10 000 customers by the end of the month. The bank’s challenge continues as the group moves towards converting more than 400 Barclays branches in Africa to Absa, while retaining the goodwill that Barclays brand built up over the last century. One thing is certain. Absa will take on this challenge with Africanacity, a determination to do things in a new way, and a commitment to bringing our continent’s possibilities to life, now, and in the future.